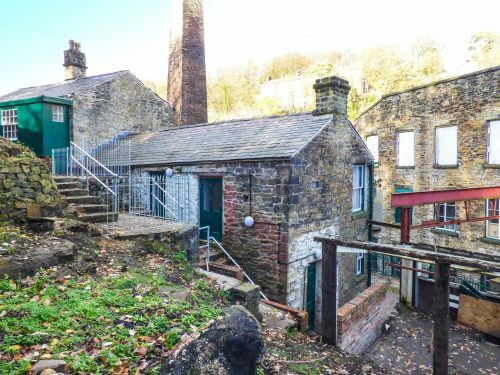 New Mills is blessed with some fantastic accommodation and over the coming weeks we will be featuring some on these pages – a full list can be found in the accommodation section on this web site. The Clocking In House is one of three superbly located cottages in converted outbuildings of the Grade II* listed, Torr Vale Mill on the leafy banks of the River Goyt. 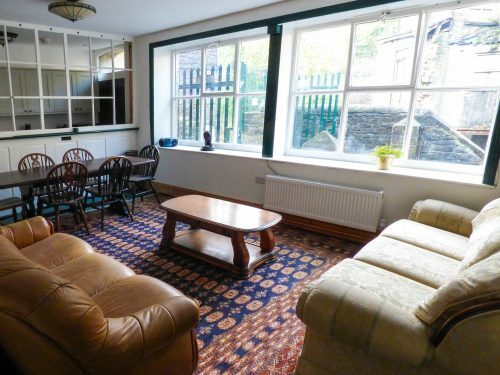 This historic and quirky cottage was where the mill workers would click in each day for over 250 years; the original office partitions are still in situ and a punching in clock is still house in what is now the kitchen. With ground floor windows looking out to the mill this is a great place to gather together and admire the history of the site up close. 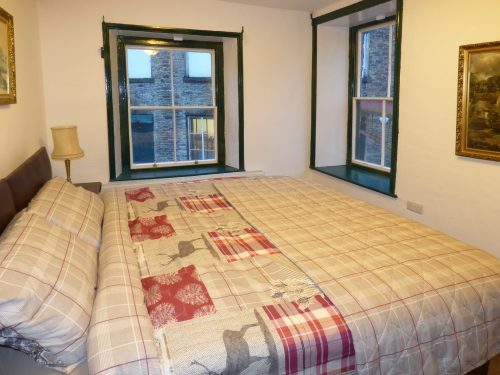 Along with a double bedroom and shower room downstairs, there are also two further double bedrooms and a bathroom on the first floor, which is accessed by an external stone staircase. In total, the property sleeps 6. 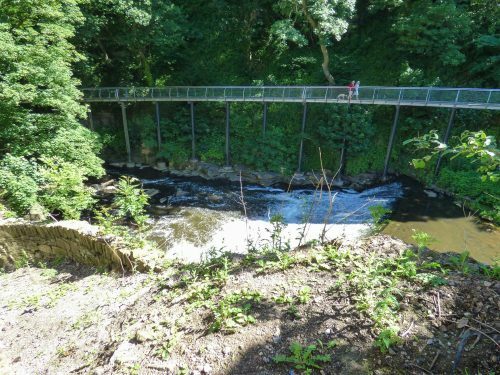 Passing by the monumental chimney stack outside, head down into Torrs Gorge where the award-winning Millennium Walkway allows you to surround yourself with the beauty of the historic location. Note: This cottage can be booked in conjunction with The Fireman’s House and The Old Workshop to sleep a total of 17 people.